Vancouver Bach Choir presents John Adams’ illuminating nativity oratorio El Niño (The Infant) – Dec. 15, 2012 at 8pm at The Orpheum. Hailed as a Messiah for the modern age, the wondrous musical achievement is a poetic retelling of Christ’s birth from one of the world’s most vital and prolific living composers. 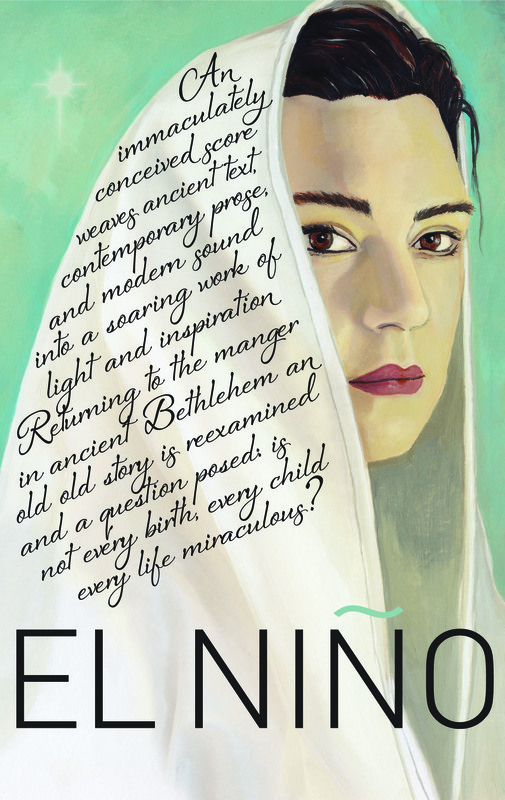 Like Handel’s Messiah, Adam’s El Niño follows the traditional Christmas narrative, with its first half focussing on Mary’s thoughts before the birth and the second half on the events in the manger, Herod’s slaughter of the innocents, and the early life of Jesus. To tell this story, the oratorio uses text from the King James Bible as its base, and integrates materials from pre-Christian prophets, Gnostic gospels, and mid-20th century Hispanic poetry. The richness and intellect of its carefully arranged sources, and the undeniable power of Adams’ compositional style, create a work of staggering depth and beauty. The Canadian premiere will feature a range of internationally acclaimed soloists, including soprano Jessica Rivera, mezzo soprano Krisztina Szabó, Baritone Gregory Dahl, and the countertenor trio of Daniel Bubeck, Steven Rickards & Brian Cummings, who sang the same parts in the oratorio’s premiere performance in Paris. They will be joined on stage by the 140 – voice Vancouver Bach Choir, the Vancouver Bach Children’s Chorus, and the Vancouver Symphony Orchestra. Born in 1947, John Adams is an American composer best known for works such as Short Ride in a Fast Machine (1986), On the Transmigration of Souls (2002), and the opera Nixon in China (1987). His compositions, typically classified under minimalism, make extensive use of repeating patterns, complex rhythms, and rich, thrumming chords. Adams differs significantly from older generation minimalists, such as Phillip Glass or Steve Reich, in that his compositions are more developmental, contain climaxes, and integrate similar elements from Romanticism. In person at the Orpheum Theatre Box Office (corner of Seymour and Smithe), open Monday – Friday from 1pm – 5pm.